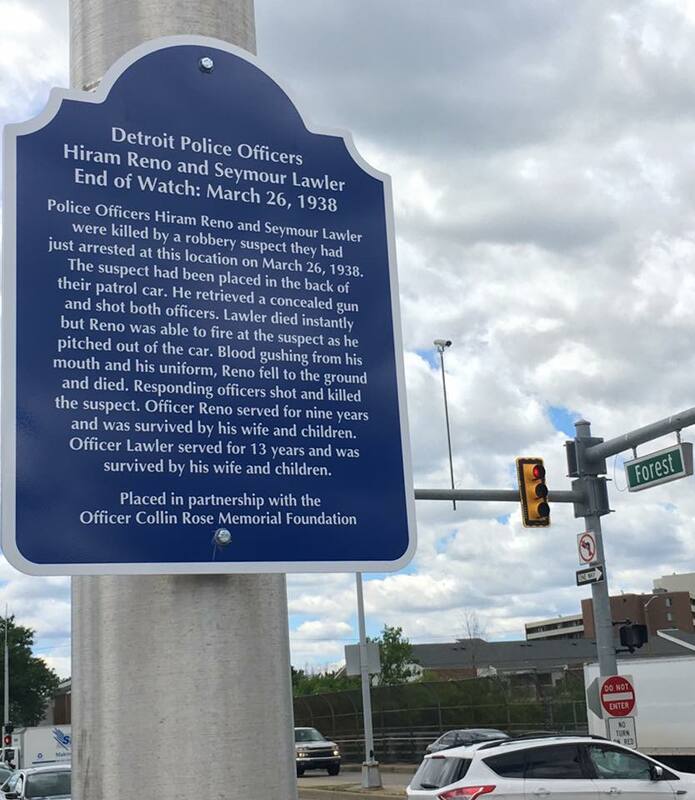 Police Officer Seymour Lawler and Police Officer Hiram Reno were shot and killed by a robbery suspect they had just arrested at 1002 W. Forest Avenue near Hamilton and Forrest Avenues. The man had been placed in the back of the officers' patrol car. Officer Lawler had served with the Detroit Police Department for 13 years and was assigned to the 8th Precinct. He was survived by his wife and three children. 81 years today, not forgotten.